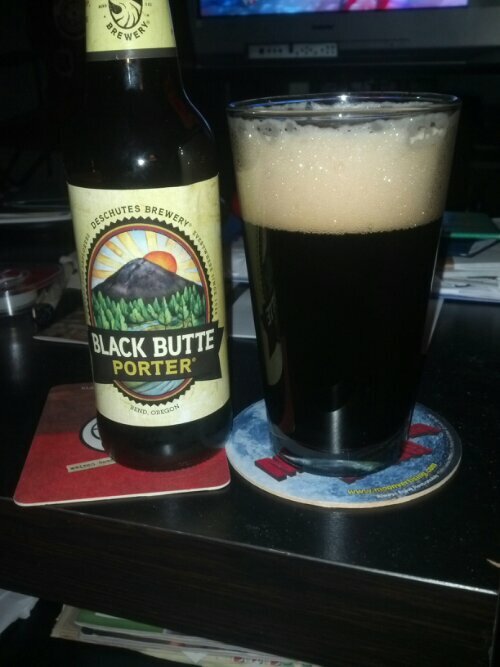 In this beer blog, we are going to take a look at another beer from the Deschutes Brewery. The beer is their flagship called Black Butte Porter. If you read my earlier beer blog, you know about this brewery. If you have not, please, the first part of that beer blog. This brewery has been around for a while so you might know about this brewery pretty well. Let us get into the beer. This porter dark brown to black in color with a light tan color head on the beer. The smell is a slight coffee to the beer. The taste is a dry chocolate to a little coffee to the beer. It is pretty drinkable beer. AHH, Our creamy contrary flagship a dark zig to the usual zag. Watch Brewer Veronica Vega talk about the wisdom in failure and the brewery’s flagship beer, Black Butte Porter.